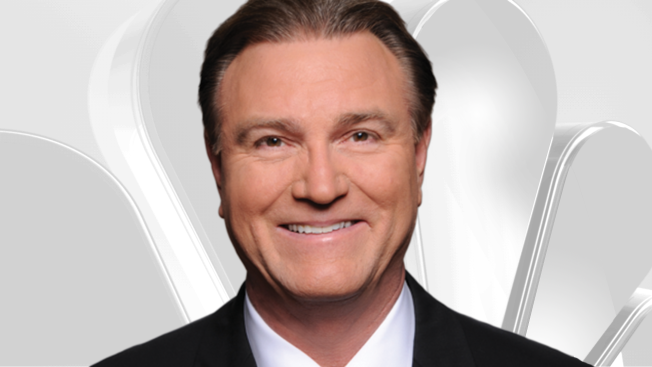 Brant Miller's forecasts are seen weekdays on NBC5's 4 p.m., 5 p.m., 6 p.m. and 10 p.m. newscasts. Miller joined NBC5 News as weekend weather forecaster in 1991. Miller began his career as a weather forecaster at Fox 32 in 1989. As a private pilot, Miller has integrated his expertise in aviation weather and meteorological studies at Mississippi State and Portland Universities. He has received the American Meteorology Society Seal of Approval for his television and radio forecasts. In addition to weathercasting on television, Miller has been entertaining radio audiences for over 20 years. He is currently forecasting weather Monday through Friday mornings on WZZN-FM (94.7), from 6 a.m. to 10 a.m.
Miller is the recipient of the 1999 and 2000 Illinois Broadcasters Association's First Place Silver Dome Awards for best television weather segment. He also won Chicago Emmys in 1997 for a weather special: "The StormTrackers" and 1999 and 2000 for Chicago Auto Show specials. Miller continues to support the March of Dimes' fight for healthy babies, as well as other child orientated functions and charities. Raised in Portland, Ore., Miller lives with his wife Lisa and their two sons in the north suburbs. Brant is also an avid gardener, "tinkerer" and home repair aficionado.